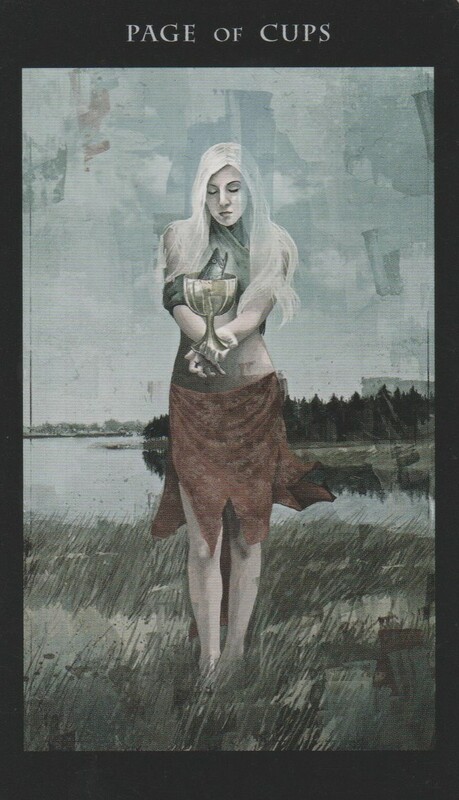 It’s the 40th week of the year and the card of the week is the Page of Cups. 4 is a number of balance and stability and the Page of Cups comes bearing messages of love and creativity. It’s wonderful time for forgiveness and healing. The power from the eclipse and the equinox are creating energy that is allowing us to transform our lives in ways we never imagined. If you feel like you’ve taken a beating over the past few years, it was building up to now. Looking back on the journey, it all happened for a reason and that was to make you a better version of yourself so that you would be ready for the opportunities presenting themselves now. The only Cups court card that didn’t show up this week is the King of Cups, so this week is all about love as a journey and how we can all grow and change through love. The Page, Knight and Queen are all in different places in learning about love so pay attention to how this expresses itself in your relationships this week. Mantra: It was all worth it. 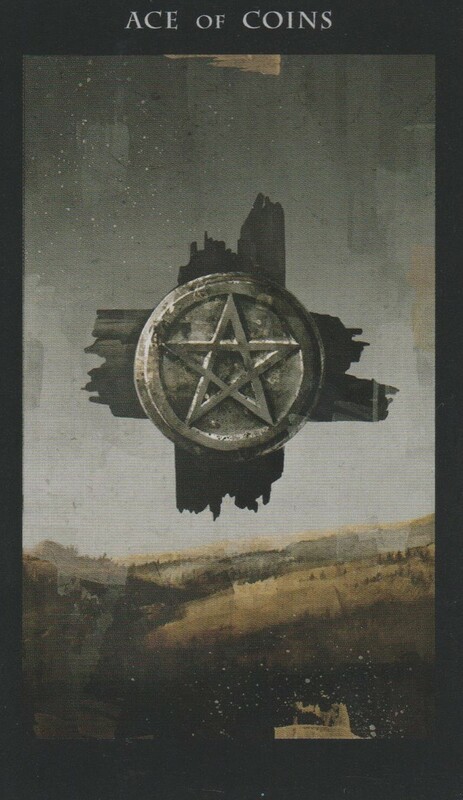 The Ace of Pentacles is a card of a new beginning in your financial life. 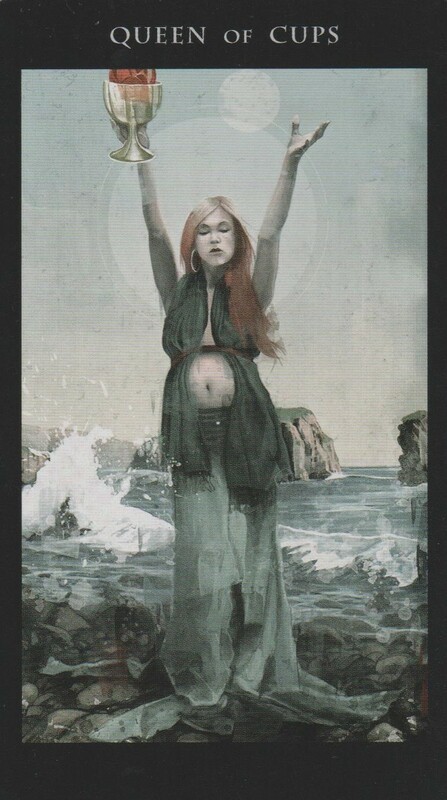 Whether it be starting a new job, project or even the spark of an idea, this card brings blessings of abundance. Moon sextile Sun at 1:58 AM PST is a transit of happiness, harmony and flow. Mercury square Saturn at 7:36 AM PST is a transit of sharp critical thinking. Get your head in the game. Moon square Venus at 10:55 AM PST is a sentimental transit so try not to cling to the past. Moon square Neptune at 9:37 PM PST is a transit of skewed intuition so use your logic, not your gut. Moon square Mars at 11:31 PM PST is a pugnacious transit that could bring quarrels. Choose your battles wisely. The Moon is in the lucky sign of Sagittarius for the day so reach for the stars. The number of the day is 8, a number of karma. 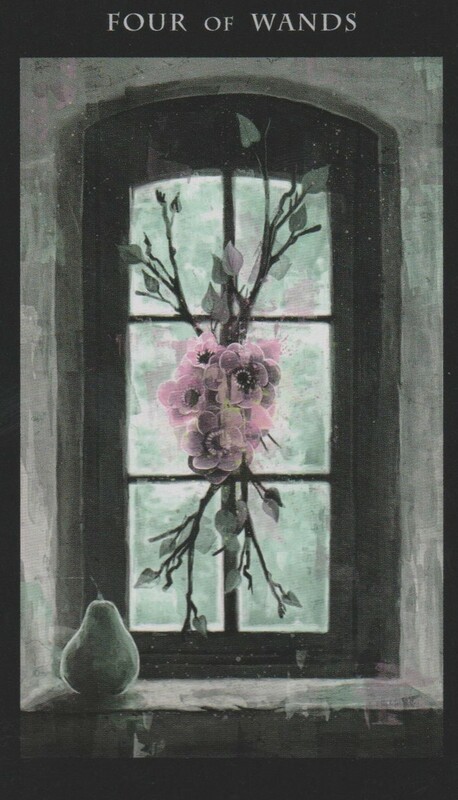 The 4 of Wands is a card of peace and harmony, especially in the home. Since it’s harvest time, take some time to celebrate all the blessings in your life with family and friends. Moon conjunct Saturn at 5:15 PM PST is a transit that will give you the drive to do the kind of hard work that pays off. Moon square Mercury may bring some confusion in matters of communication but Mercury moves fast so this transit won’t last long. Turn in early tonight if you want to avoid it completely. The Moon is in the upbeat sign of Sagittarius for the entire day so it will be easy to see all the good things around you. The number of the day is 9, a number of near completion. The first full week of fall is simply filled with abundance. The blessings that the beginning of the week are only leading into blessings on the way. You may have thought your ship has come in but there was so much cargo that another boat is on the way. It’s just a matter of time before you see it. Moon sextile Jupiter at 3:46 AM PST is a transit of joy and optimism. Moon trine Uranus at 4:08 AM PST is a transit that leaves you craving excitement. If you are asleep during this transit, these themes may appear in your dreams. The Moon is void of course in Sagittarius between 4:08 AM PST and 9:24 AM PST when She enters the hard working sign of Capricorn. You’re going to get back what you put into anything that is done at this time. Moon square Sun at 7:53 PM brings the first quarter in Capricorn. There may be some challenges but keep climbing like the Capricorn. Jupiter opposition Uranus at 9:24 PM PST brings some good news that will make you breathe a sigh of relief. You’re almost there. The number of the day is 1(0), a number of new beginnings. Mantra: Hold out for just a little longer! 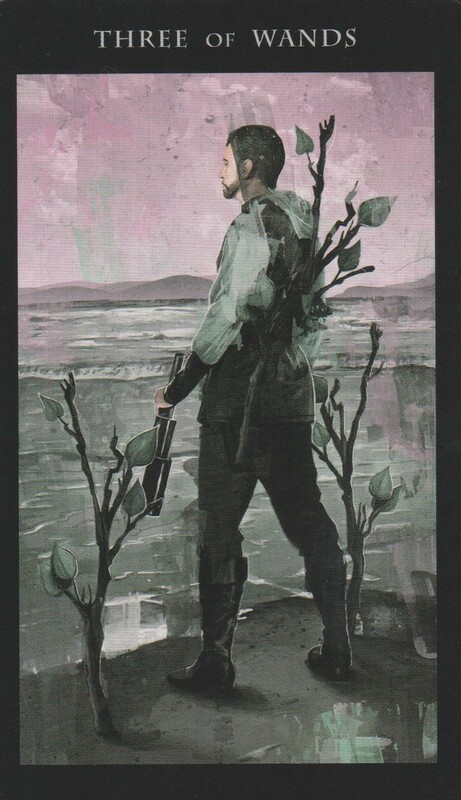 The Knight of Cups is a charming, creative, lover who takes his time getting to where he’s going. The night is all about the journey, not the destination. Moon trine Venus at 6:29 AM PST is a transit of love, creativity and beauty, a good match for the Knight of Cups so expect to have a smooth start to your day. Moon sextile Neptune at 10:09 AM PST is a psychic intuitive transit so trust your intuition. Pluto stations direct after being in retrograde since 4/20/2017. If you’re in a completely different place then you were in April, then you have Pluto Retrograde to thank. This retrograde brings big, benifical changes but the stakes are high. You may have been asked to gambol at the casino of your soul, putting everything on the line in order for big wins to happen. It may have been one of those times when you were so down on your luck you didn’t know how to get out of it. But look at how far you come and everything that happened because of it. Things will be calming down now and you can look back and say, “I understand the journey now.” Moon trine Mars at 3:35 PM PST is a transit of bravery and leadership. Moon conjunct Pluto at 7:26 PM PST is a transit that brings renewal through spontaneity. Although it’s a Capricorn Moon, you may want to break from the usual and do something out of the ordinary, sometimes Capricorn needs to be challenged in order to grow. The number of the day is 2, a number of seeing the darkness in the light and the light in the darkness. 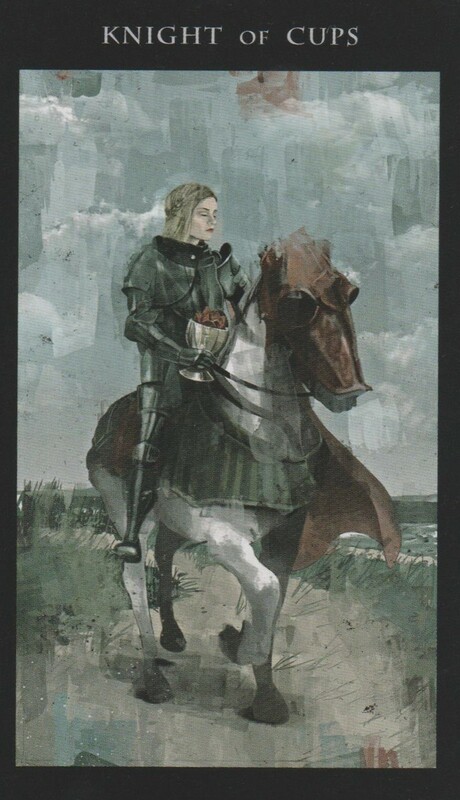 The Knight of Cups, our card of the yesterday, has delivered his message of love to the Queen of Cups. She is now in her power and the ruler of her heart. Open up to all the love that is coming your way and embrace it. Now is not the time for hatred or bitterness. Moon square Uranus at 4:20 PM PST is a reckless transit so be careful what you do during this time. Actions taken now could break things beyond repair. Venus opposition Neptune at 5:12 PM PST is a transit that brings unrealistic ideas in relationships. However, any new relationships begun at this time have the potential to become long lasting ones built on love and trust. Mercury enters Libra at 5:42 PM PST where He will stay until 10/17/17. While Mercury is in Libra, people crave intellectual relationships with others. Try not to set the bar too high for others because you will only set yourself up for disappointment. Instead, be the best person you can be. It is also a good time to enjoy the arts and take part in cultural appreciation. Generally, people are easy going during this time so enjoy the connections made now. Moon trine Mercury 10:22 PM PST is a transit of flowing communication. It’s a good night to stay up late and enjoy the company of others. The Moon is in the hardworking sign of Capricorn and then goes void of course at 5:14 PM PST until She enters Aquarius at 9:40 PM PST. The number of the day is 3, a number of things coming together. Mantra: The only thing you were missing is love. 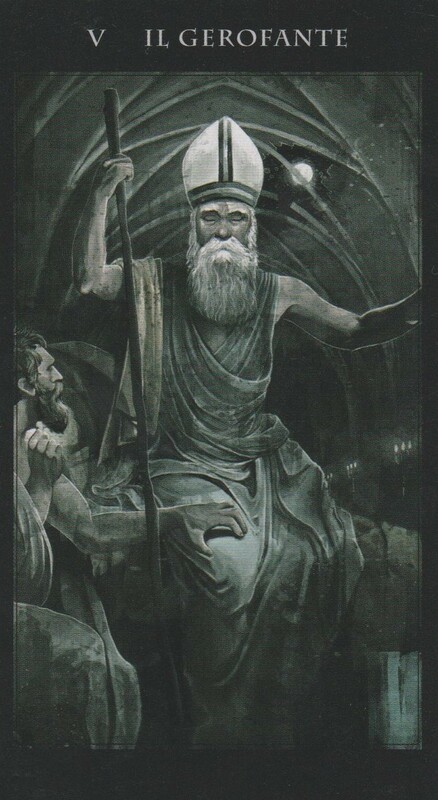 The Hierophant is a card of institutions and traditions. He is a reminder that sometimes structure is necessary when you need somewhere to turn either to give thanks or to find solace. The only noteworthy transit of the day is Moon trine Sun at 1:06 PM PST, which is an overall positive transit that will leave you feeling pretty groovy. It’s just more time to give thanks for all the love and abundance in your life, which seems to be the theme of the stars and the cards this week. The Moon is in the revolutionary sign of Aquarius, which clashes with the structure called for by the appearance of the Hierophant, but sometimes the most revolutionary thing to do is to turn to an institution if you’re anti-establishment. The number of the day is 4, a number reinforcing the power of tradition as it refers to strong foundations. Mantra: There is comfort in structure. 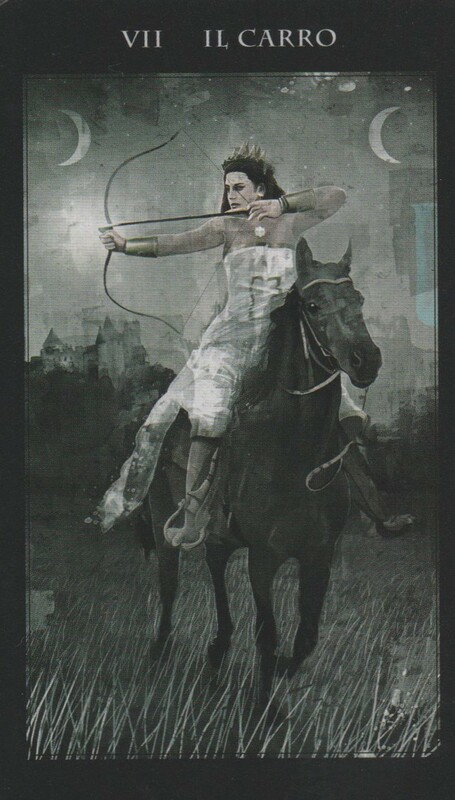 The Chariot is a card of positive movement forward. This is an appropriate card considering the Mars trein Pluto today at 4:32 PM PST. This is a transit of working to change the world for the common good. Whatever you do today, do it with the intention of the raising the vibration of the entire world. Through this, you will discover things that will help you grow, mature and change. Moon sextile Saturn is at 4:56 PM PST will help you accept the power you have and to wield it with wisdom. The Moon is in the revolutionary sign of Aquarius bringing with it opportunities for huge transformations. The number of the day is 3, a number of things coming together. Mantra: I can and will change the world. This entry was posted in art, Astrology, Dakness of Light Tarot, dreams, mysticism, mythology, Neptune Retrograde, numerology, occult, Pluto Retrograde, self help, spirituality, Tarot, Uranus Retrograde, witchy, Writing and tagged art, astrology, divination, dreams, empowerment, inspirational, love, magick, manifestation, mantra, meditation, metaphysical, motivational, mysticism, numerology, occult, pagan, predictions, psychic, self empowerment, self help, spiritual, tarot, tarot reading, tarot weekly forecast, wicca, witchcraft, witchy, writing. Bookmark the permalink.